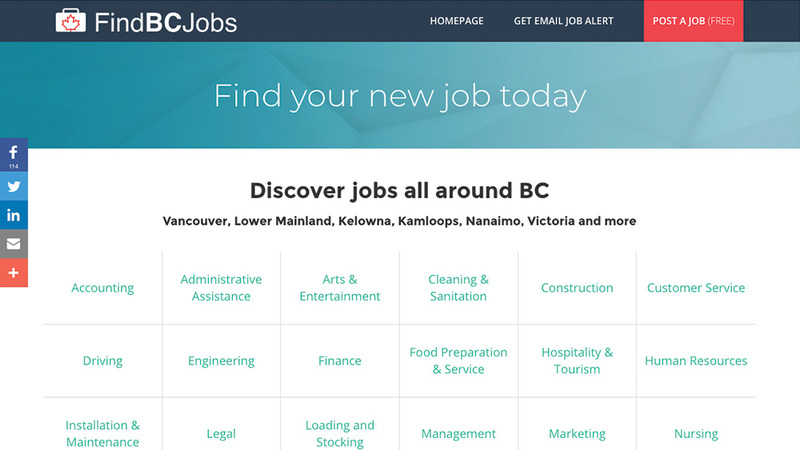 Find BC Jobs is a website that lists thousands of jobs currently available in British Columbia. Employers can create an account to add, edit and delete available positions. The website was built with WordPress and a custom theme. It has a lot of custom features and functions to make it work properly. On the marketing side, Find BC Jobs reaches more than 20,000 people on Facebook and over 10,000 impressions, per month. 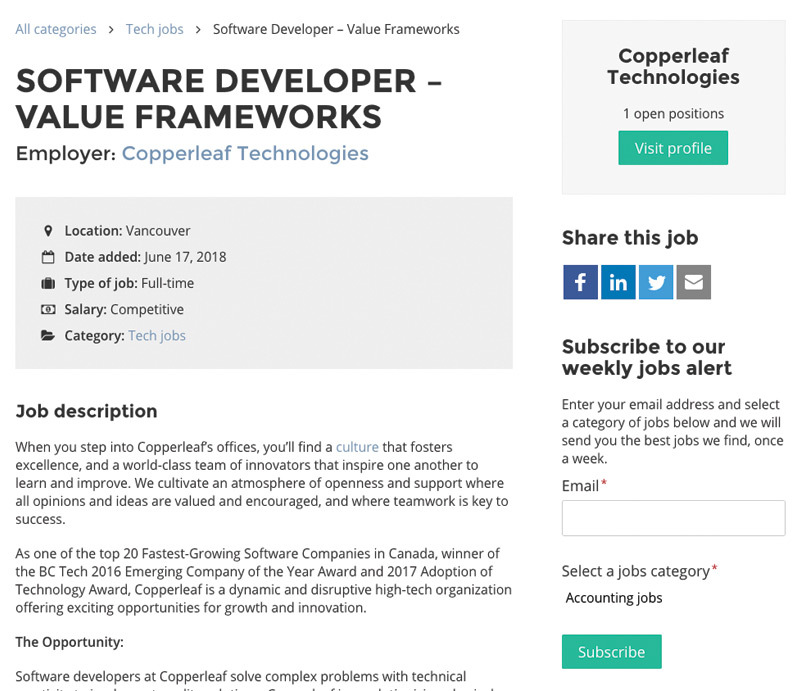 It also has email job alerts sent automatically each week with MailChimp. 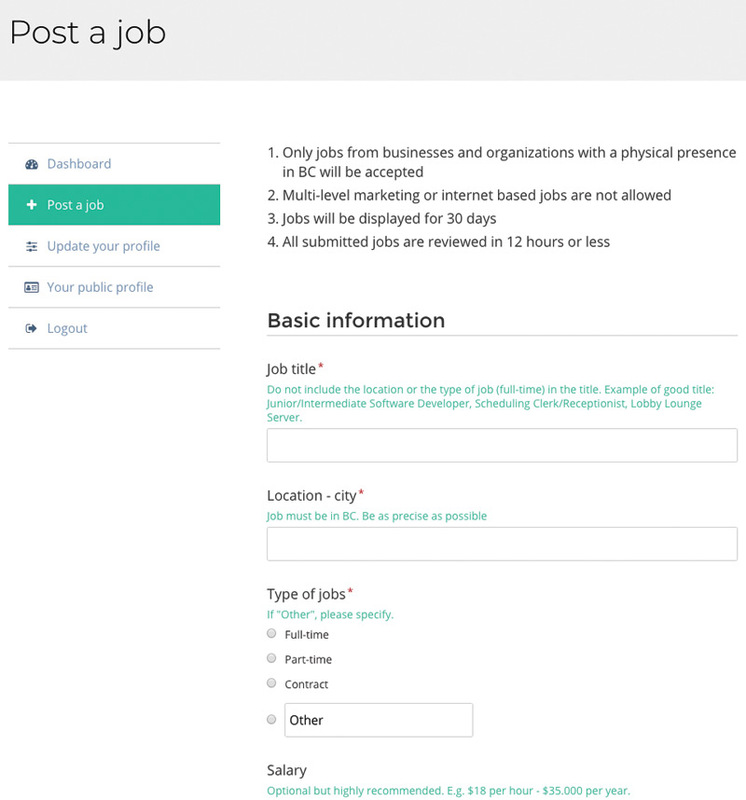 Each job post is linked to the employer profile so a job seeker can discover more jobs from the same employer and learn more about the company. From the employer dashboard, it's easy and fast to add a new job. 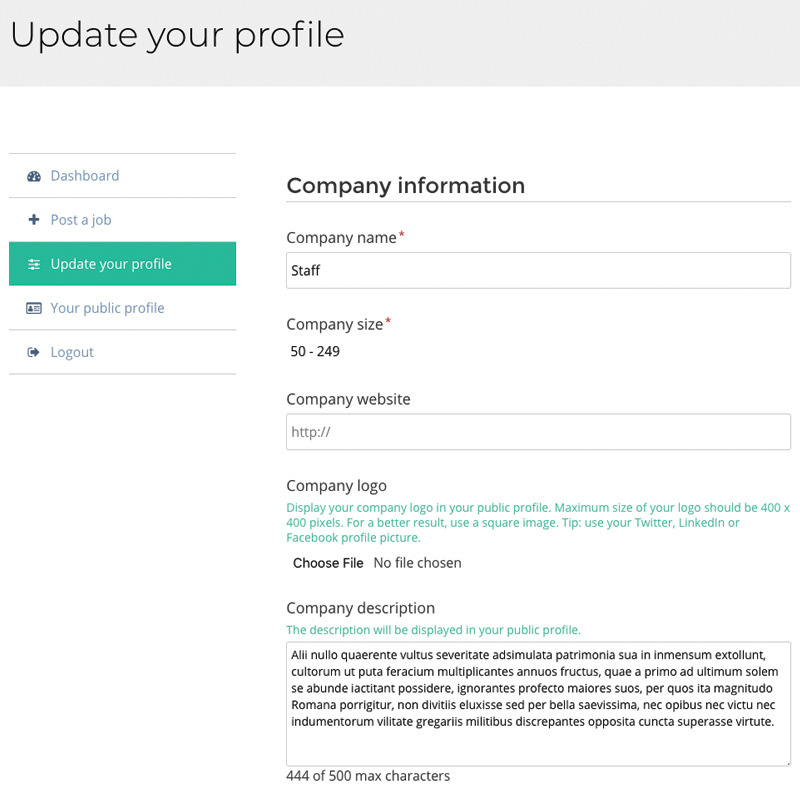 Employers can edit their profile, add a logo and more information about the company.